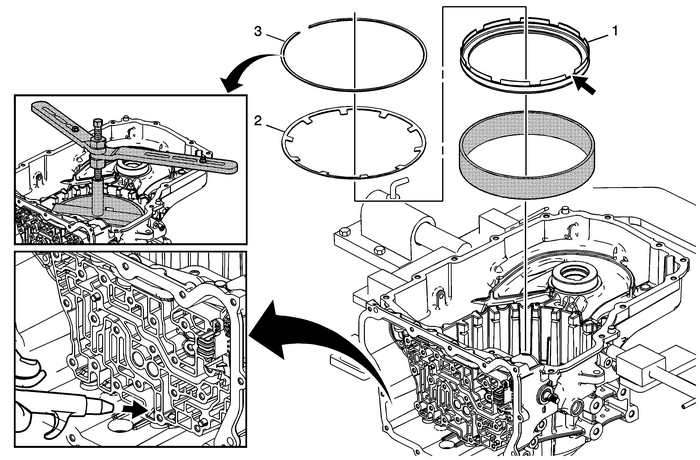 Position the 2–6 piston air bleed and large slot toward the top of the case.DT-47796 seal protector prevents the piston seal lip from damage during installation. Apply a thin coat ofATF to the I.D. of the DT-47796 seal protector to ease installation of the piston.